This red Ferrari F50 is quite a masterpiece. The hottest supercar you could buy in 1995. It’s basically a F1 car for the street. 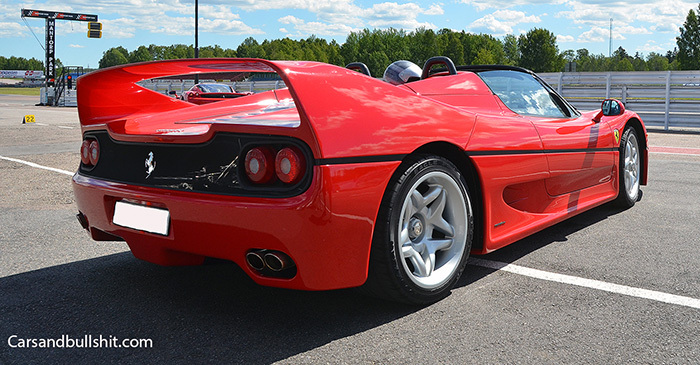 The Ferrari F50 is sleek and fast, and in the back rests a mighty power plant. The 4,7 liter 12 cylinder bundle of joy produces a staggering 515 horsepower. These prancing horses are ready and available at 8000 rp/m, resulting in very impressive performance. 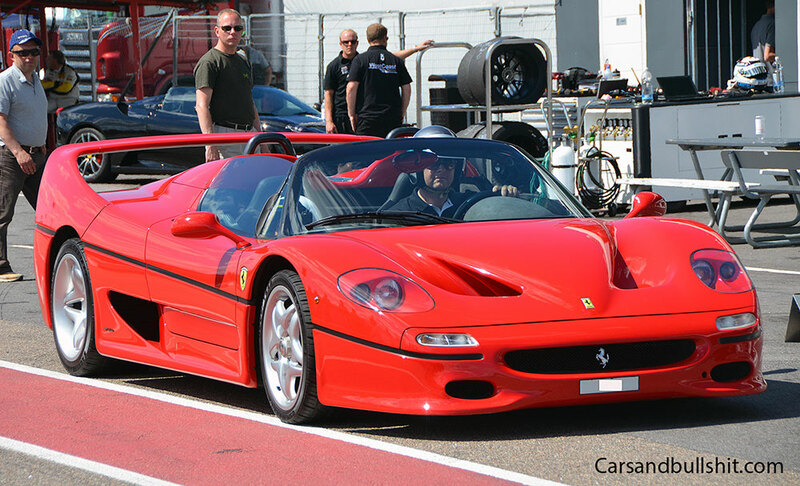 With the pedal to the metal the F50 eagerly will reach a top speed of 325 km/h. amazingly fast back in 1995. 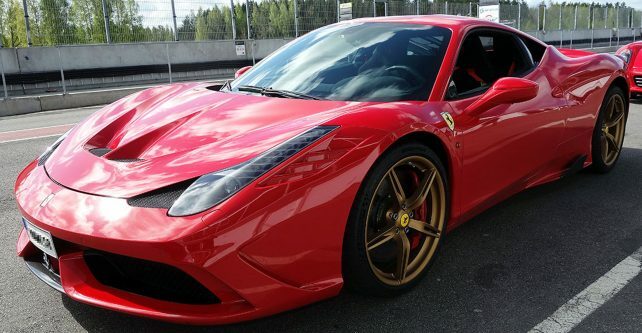 It accelerated like a spaceship, 0-100 km/h took just 3,7 seconds. Ferrari made just 349 of these, making it a very rare car and a true collector’s item.